Poor Creech. His organization is going so broke so quickly he’s resorting to even more picking and choosing from the Bible. It’s a shame really. I never pictured teetotaler Creech as the “Cafeteria Christian” type on matters so simple as theft. Usually, anti-gay fundamentalists reserve their picky eating habits for their gay hating tastes. I knew it wouldn’t be long. North Carolina’s the only Southern state without an anti-gay, anti-family constitutional amendment on marriage. 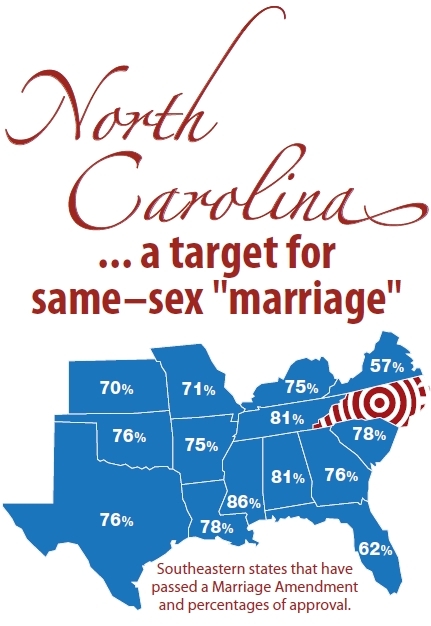 We’re a sitting duck; a big glaring hole in the religious right’s sea of hate and control… Just as in the image to the right, from the NC4Marriage website (PDF). On March 3, churches across the state will bring busloads of rally participants to Halifax Mall, the green park behind the building where state legislators meet daily for legislative work. The rally, expected to draw thousands, is being organized by the Winston-Salem-based Return America. Berean Baptist Church pastor Ron Baity is the organizer. A similar rally was held in Raleigh in two years ago on March 6, 2007. Thousands attended. Speakers at this year’s rally include anti-gay activists lawyer David Gibbs, III and WallBuilders ministry founder David Barton. 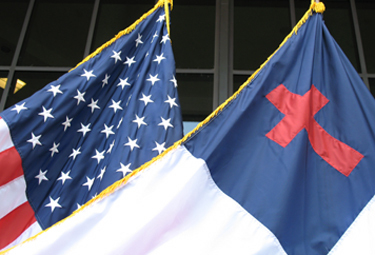 Just two Sundays before the rally, the newly organized NC4Marriage will hold “Marriage Sunday,” urging pastors to teach on “traditional marriage,” homosexuality and introduce their congregants to NC4Marriage and the constitutional amendment fight. On Tuesday, March 24th, LGBT North Carolinians and allies will gather at the capitol to be heard on the issues that matter to us. A lobby day institute, meetings with state lawmakers, caucusing opportunities with other activists and inspiring speeches from legislators and supporters will all be part of the 2009 Equality North Carolina Day of Action! This is an opportunity for individuals from across the state to come together and educate legislators on the issues that matter to us and our families: from ensuring that our kids are safe at school and being taught factual health information in class to keeping discrimination out of our state’s constitution and employment policies. So mark your calendar now for March 24th, and let us know you will be standing with us on the Day of Action by registering! 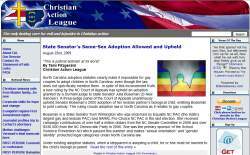 Before the Christmas holiday, Mark Creech, the president of the N.C. Christian Action League announced the anti-gay organization was more than $15,000 in debt. He pleaded for churches to help solve the debt before the end of the year. Now, the Christian Action League needs more money and they want their 2008 debt paid off by Jan. 28, the beginning of the new state legislative session. You know, though, if the tables were reversed and it was EqualityNC that was going broke, the Christian Action folks would be saying the debt was God’s punishment for sin. I wonder what Mark Creech could have done to offend God that he’d cause a $15,000 deficit?